Because scarce resources and emission limits require resource-friendly production processes. Large volumes of exhaust air contaminated with volatile organic compounds (VOC) are generated during production in many industries, such as the printing industry or paint shops. These quantities of VOC in exhaust air must be purified to comply with national and international emissions limits. 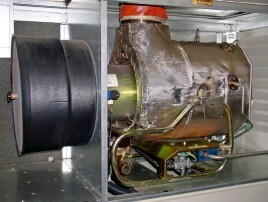 These separated VOC can then be used as fuel for turbines. Our energy-efficient micro gas turbine technology ensures optimum utilisation of raw materials – using a combination of innovative exhaust air purification, optional intermediate storage and the individual supply of the fuel obtained for generating electricity. 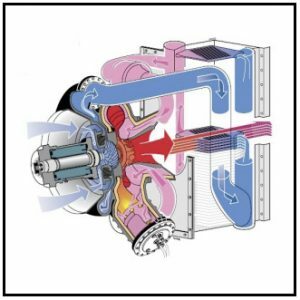 The idea behind our solution: concentrated, solvent-laden volumes of exhaust area can also be stored and used for a micro gas turbine as an alternative to the classic oxidation process because the gas mixture is ideal as fuel. 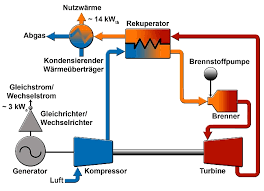 In addition, the electricity and heat generated pave the way for virtually energy neutral and energy-saving production processes.